Telecommunications regulator, the Independent Communications Authority of South Africa (Icasa), has been dragged to court for not disclosing the status of a service provider accused of operating without a licence. Having been sent from pillar to post by Icasa officials for 20 months, the aggrieved Skygistics, which specialises in tracking and global satellite communications, took the matter to the high court in Johannesburg in December. 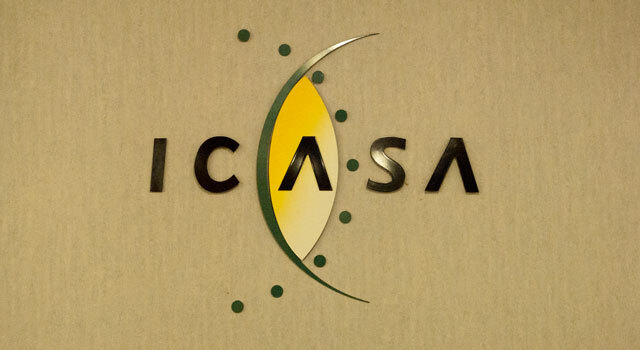 The company has alleged that Icasa dithered for nearly two years, during which time it wouldn’t confirm to Skygistics whether its rival, GlobalTrack, had the necessary licence to operate. GlobalTrack’s clients include Altech Netstar and Mix Telematics. Its CEO, Pieter Smits, insists the company has “all required approvals” and “complies with all applicable legal and regulatory requirements”. Skytgistics technology chief Frik van Staden, on the other hand, says in a letter to Icasa — included in the court papers — that there was “reason to believe that GlobalTrack [was]operating without the prescribed Icasa licences and approvals”. Skygistics, in which the Nkenke Kekana-led Mowana Investments holds a 42% stake, argues in an affidavit filed at the high court that the alleged breach placed GlobalTrack in a position whereby it is “able to compete in the market without incurring the costs associated with compliance with Icasa [regulations]”. In an answering affidavit, Icasa regional manager Tshepi Lekganyane cites two reasons the authority did not reply to Skygistics’ request for information about its rival’s alleged breach. Firstly, it had “no legal obligation” to do so and, secondly, it felt that since Van Staden had approached Icasa as a whistleblower, he need not have been kept up to date. Court papers show it took two months for Lekganyane to respond to Van Staden’s original letter to the authority, which was dated April 2011. In a terse response, in June 2011, Lekganyane said the complaint was “still under investigation”. In the court papers, Van Staden says he found this reply to be “extraordinary”. Several attempts by Norton Rose, Skygistics’ legal team, to arrange a meeting with Icasa officials — including Mncube and Lekganyane — drew a blank. It’s not clear why Mncube wasn’t available, but Lekganyane has cited ill health, which kept him out of work for long periods, and the fact that he wasn’t able to delegate responsibilities. None of this answers Van Staden’s concerns, however. “To my mind, the question to be determined was simply a matter of deciding whether GlobalTrack was obliged to obtain a licence (or licences) under the aegis [of Icasa]and, then, to check whether that had indeed been done by consulting the register maintained by the regulator,” he says in his affidavit to the court.